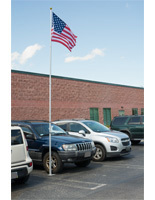 This USA flag mount kit comes with a 3'x 5' red, white and blue pre-printed banner and 60" silver aluminum flagpole. Each high visibility fixture supports both indoor and outdoor use. 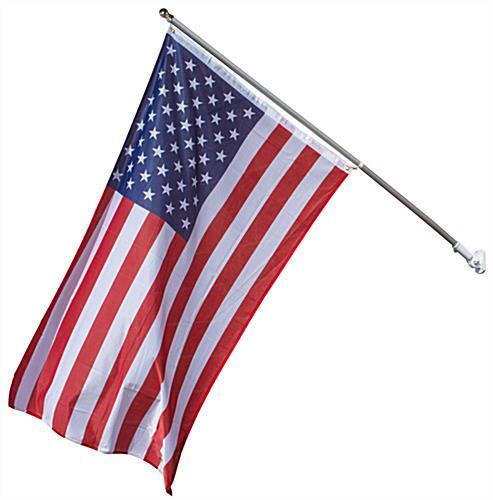 The 3-color American flag mount kit includes all necessary mounting hardware, including a brass ball pole top, grommets for hanging and wall screws. 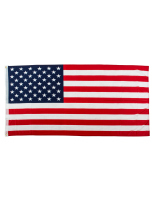 The red, white and blue printed stars and stripes banner is a great way to show patriotism and national pride for schools, organizations and businesses. 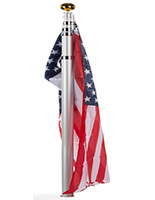 The indoor/outdoor flag mount kit with 60" aluminum ball-top pole is an economical alternative to freestanding flagpoles. 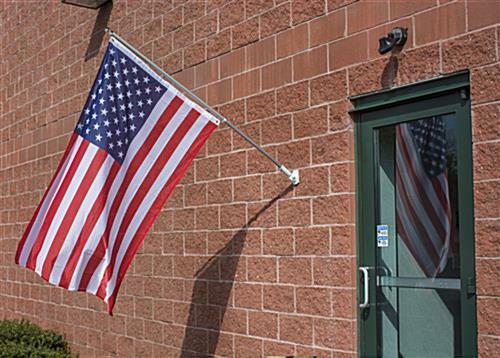 This banner and pole set offers high visibility and durability in any location. 58.0" x 24.0" x 1.0" x 60.0"